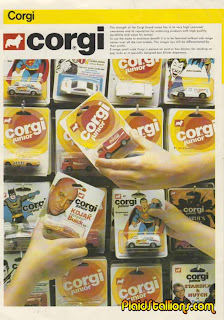 I used to love these little Corgi Jr. vehicles! 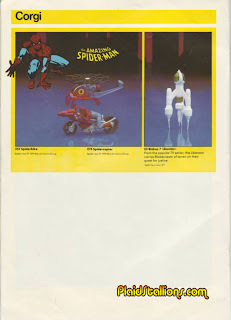 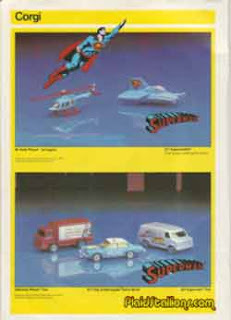 I had the Supermobile w/ the pop-out fists, the Batmobile, Batcopter, Batcycle the Jokermobile (which was exactly the same as the basic ambulance with different stickers), and the Spidercopter. 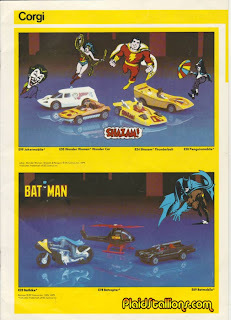 I always wanted to get the bigger vehicles, but they were wicked expensive, so I only got the Batmobile, Batcycle, Richard Petty's STP car, and the black & white Police car.